Are people too trusting illegal tradesmen? New research by Gas Safe Register has revealed that residents of Cardiff are too trusting of tradesmen and women. The research (which was conducted in Cardiff) found that the residents are basing judgement on appearance rather than qualifications and skills to do the job. Residents said that the most common things they look for are politeness, good eye contact, confidence, good clothing and a nice smile ahead of official identification or a GSR badge. More than a third of people in Cardiff also admitted they decide whether someone is trustworthy within the first 10 minutes of meeting them. The tradesmen that rank highest for trust in Cardiff are Gas engineers followed by gas and electricity meter readers, carpet fitters, rubbish collectors and gardeners. Builders and window cleaners were considered the least trustworthy. The research did however reveal that around three quarters of people in Cardiff said they would look for an ID card stating the tradesman’s competencies when looking for a trustworthy tradesman. Gas Safe Registers own data revealed that when it comes to gas work only one third of people actually do check if their engineer is legally qualified. Jonathan Samuel, Chief Executive of Gas Safe Register, said: “We know that in the right hands gas is safe, but in the wrong hands badly fitted and poorly serviced gas appliances can be deadly and can cause gas leaks, fires, explosions and CO poisoning. With hundreds of thousands of illegal gas jobs being carried out every year in the UK, people are putting the safety of their families in the hands of people they don’t really know and whose competencies they certainly haven’t checked. 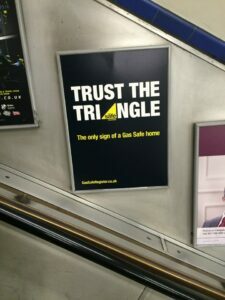 This coincides with Gas Safe Register’s “Trust The Triangle” campaign, which is aiming to increase public awareness of the GSR brand. 22 people have died in the past three years and there have also been nearly 1,000 injuries related to gas incidents such as carbon monoxide (CO) poisoning, gas leaks, fires etc. On top of this GSR estimates that around a quarter of a million illegal jobs are carried out every year by fitters who do not have the correct qualifications and cannot be trusted. You can show your support for the “Trust The Triangle” campaign by tweeting with the #Trustthetriangle and keeping your customers informed. 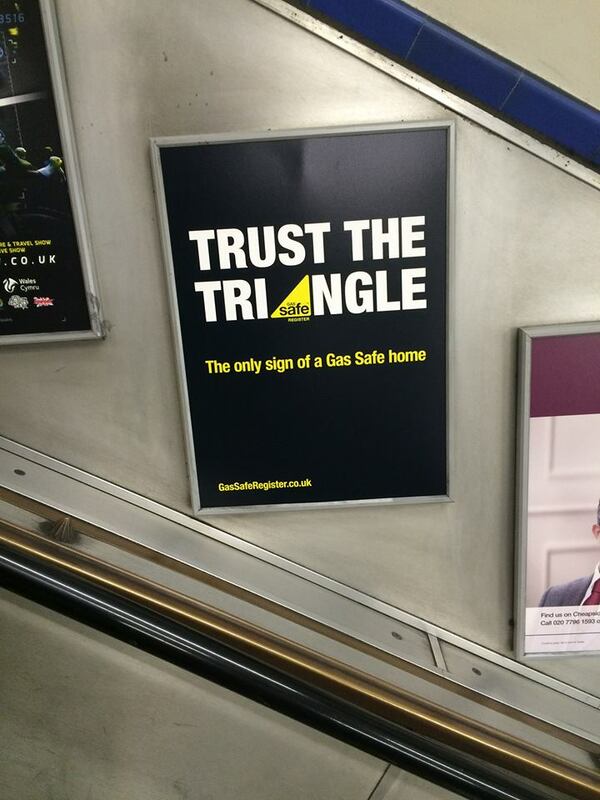 Make sure they understand the GSR brand is the only trusted, safe and legal organisation for trades people working with gas.